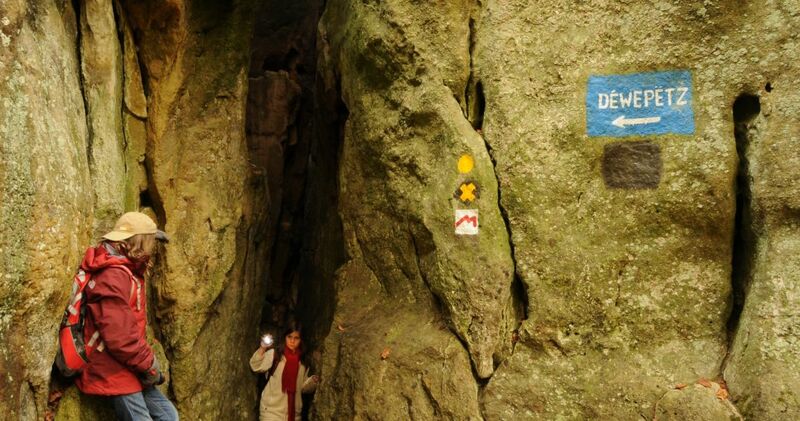 The distinctive feature about this guided hike is that you will pass through a narrow and dark crevice called Kuelscheier more than 100 m long. You will also pass along bizarre rock formations called Rittergang and Déiwepëtz. Length: 3.5 km.